Download the provisional calendar for the 2018/19 season HERE. Please note that all dates are provisional and subject to change. 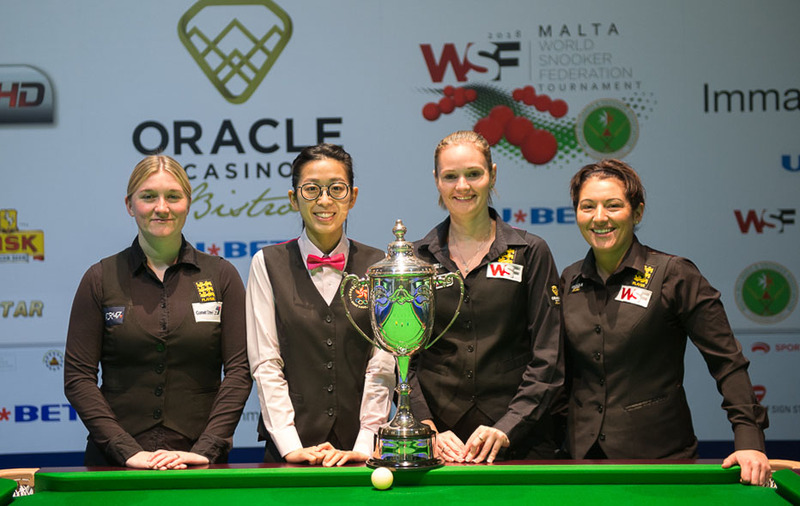 World Women’s Snooker (WWS) and the World Snooker Federation (WSF) are today delighted to announce that two prestigious women’s snooker tournaments will be contested across seven days at the Hi-End Snooker Club in Bangkok, Thailand this June. The 38th staging of the iconic World Women’s Snooker Championship, won last year for a third time by Hong Kong’s Ng On Yee, will take place from 20-23 June 2019. This will be preceded by the inaugural edition of a new international team competition for women players from across the globe from 17-19 June. The blue riband event will be held with the full support of the Billiard Sports Association of Thailand and the Hi-End Snooker Club, a world-class facility which boasts 15 snooker tables and is the home of women’s players including 19-year-old Nutcharut Wongharuthai who has reached two WWS finals over the past 12 months. This year’s World Women’s Championship shall carry a minimum prize fund of £15,000 and the team event a minimum total of £7,000, making this the biggest week of women’s snooker for over a decade. Players will be nominated for both events by their national federation. Further information, including hotel information and the entry process for national federations to both events will be released as soon as possible.